Please see below for information regarding the Third Inter-Parish Picnic. 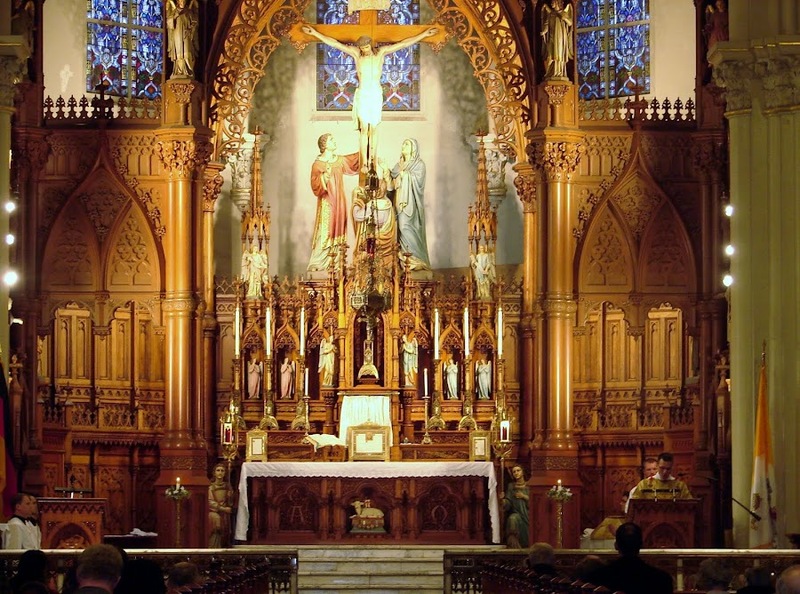 In honor of the Sacred Heart, Solemn High Mass will be offered at Sacred Heart of Jesus Parish in South Euclid, Ohio, on Sunday, June 17 at 5pm. 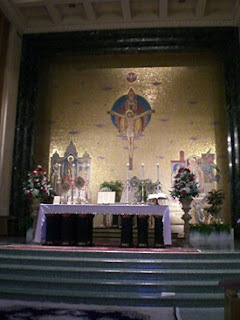 Immaculate Conception Cleveland will offer low Mass for the Solemnity of the Sacred Heart at 6:30pm on Friday, June 15. A plenary indulgence can be gained by praying the Act of Consecration to the Sacred Heart, Iesu dulcissime. Another pious tradition practiced by Catholics is the Enthronement of Sacred Heart of Jesus. 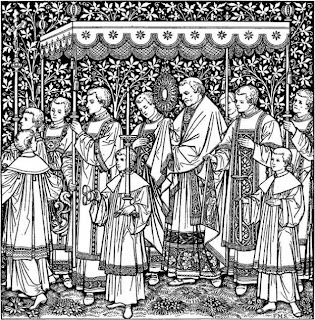 This ceremony takes place in the home, preferably presided over by a priest, and is meant to establish the Social Reign of Jesus Christ in society by way of the family. And we cannot forget the promises from Our Lord to St. Margaret Mary which are granted to those who practice devotion to His Sacred Heart. For Persons living in the World. "They will find by means of this devotion all the helps necessary for their state, such as peace in their families, refreshment in their labors, the blessing of heaven in all their undertakings, consolation in their troubles, and it is truly in this Heart, that they will find their refuge during life and above all at the hour of death. He promised He would reunite families that are separated." 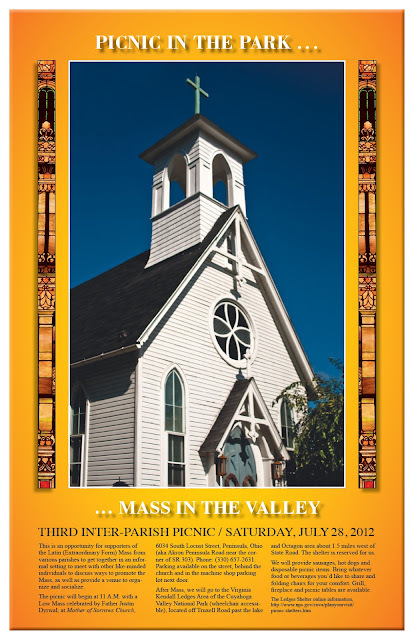 For Homes where the picture of the Sacred Heart shall be Exposed and Honored. "Since He is the source of all blessings, He shall shower them in abundance on every place where a picture of His Divine Heart shall be set up and honored." Promise of Salvation for All Who Have Been Devoted and Consecrated to It. "He then confirmed His assurance that the pleasure He takes in being loved, known and honored by His creatures is so great . . . that all who will be devoted and consecrated to It shall never perish." For Those Who work For the Salvation of Souls. "My divine Savior has given me to understand that those who work for the salvation of souls will have a gift of touching the most hardened hearts, and will labor with marvelous success, if they themselves are penetrated with a tender devotion to His Divine Heart." Promise of a Happy Death for those Who Communicate on the First Friday of Nine Consecutive Months. One Friday during Holy Communion, He said these words to His unworthy slave if she is not mistaken, "I promise thee in the excessive Mercy of My Divine Heart, that It's all-powerful will grant the grace of final repentance to all who communicate on the First Friday of nine consecutive months, that they shall not die under Its displeasure nor without receiving the sacraments, for My Divine Heart will become their secure refuge at that last moment." Promise of the Reign of the Sacred Heart. "Yes, this Divine Heart will reign in spite of those who would oppose it; Satan will be put to confusion with all his followers." For Those Who Promote Devotion to the Sacred Heart of Jesus. "Those who propagate this devotion shall have their names written in My Heart never to be blotted out." . For Communities. "He has promised me . . . that He will spread the sweet unction of His burning charity over all those communities who honor It and place themselves under its special protection, that He will turn away from them all the strokes of divine justice, in order to restore them to grace when they have fallen from it." The Thursday after Trinity Sunday is traditionally the day observed for the great feast of Corpus Christi. In continuing that tradition, St. Stephen's will offer High Mass on Thursday, June 7, at 6:30pm. A Eucharistic Procession inside the church will be part of the celebration. Pope Urban IV, in 1264, instituted this feast in the Calendar. We can cite pious tradition for two inspiring events which lead to the declaration of the feast. 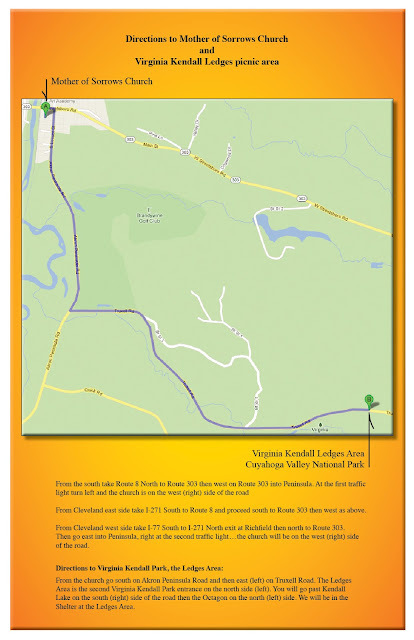 In 1263, a German priest, Peter of Prague, offered Holy Mass in the Church of St. Christina while on pilgrimage to Rome. Although a good and holy priest, Peter of Prague held doubts concerning Christ's Real Presence in the Blessed Eucharist. During that Mass in St. Christina's, the Host which he consecrated began to bleed. Immediately, he hurried to Pope Urban IV carrying the Blessed Sacrament, and the Pontiff declared the miracle. 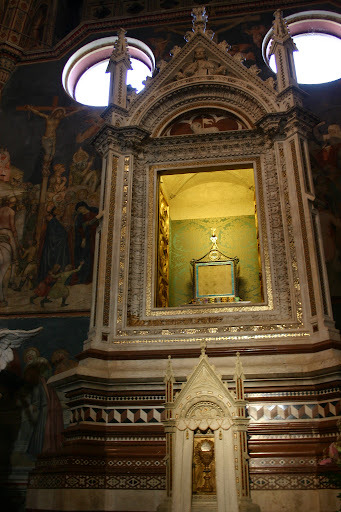 The Corporal on which the Host bled is still on display in the Cathedral of Orvieto. 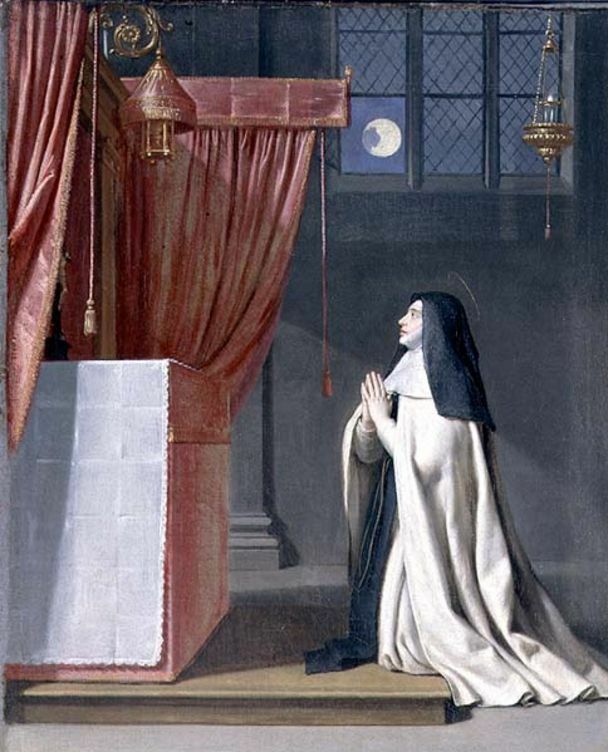 St. Juliana of Mont Cornillon, an Augustinian nun (1193 - 1258) had a vision in which the Moon, full and beautiful, was marred by a single black spot, signifying the lack of a joyful feast day of the Eucharist at that time.